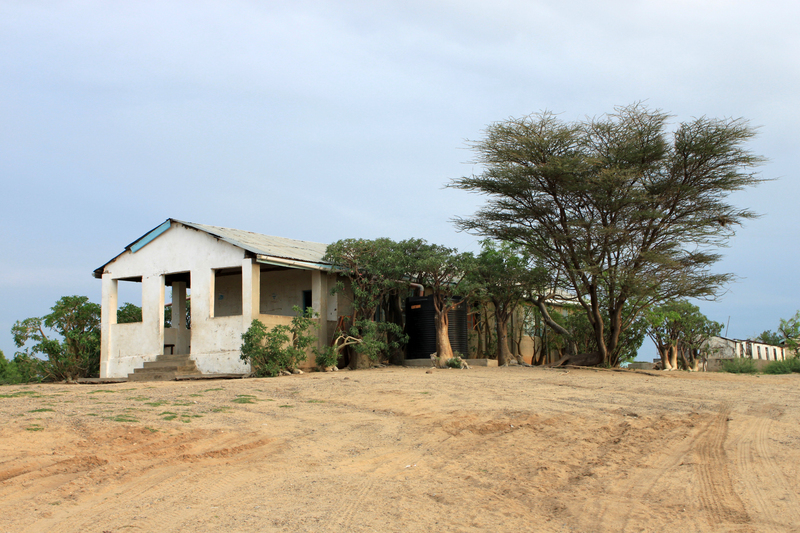 Welcome to the Eastern shore of Lake Turkana in Northern Kenya, near the border to Ethiopia. The arid and semi-arid lands of Northern Kenya and Southern Ethiopia are homeland of the Daasanach tribe. The Daasanach are mobile pastoralists. They drive their livestock from one feeding ground to the next, always looking for water and feed. Occasionally they also go fishing at Lake Turkana. During the two rain seasons they drive their herds far off into the savanna bush to let their livestock graze in the highlands. 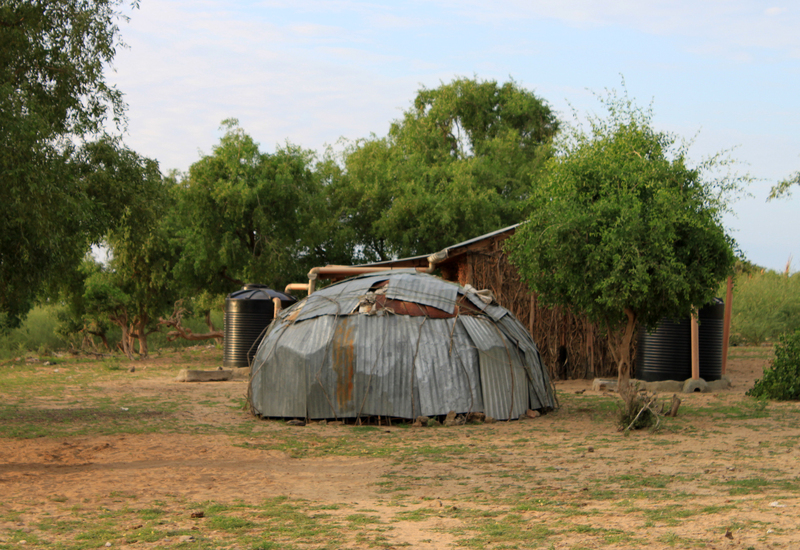 During the dry seasons they return to more permanent settlements with more constant water supply. Due to population growth the average stock of animals per family has increased fivefold within the past years. 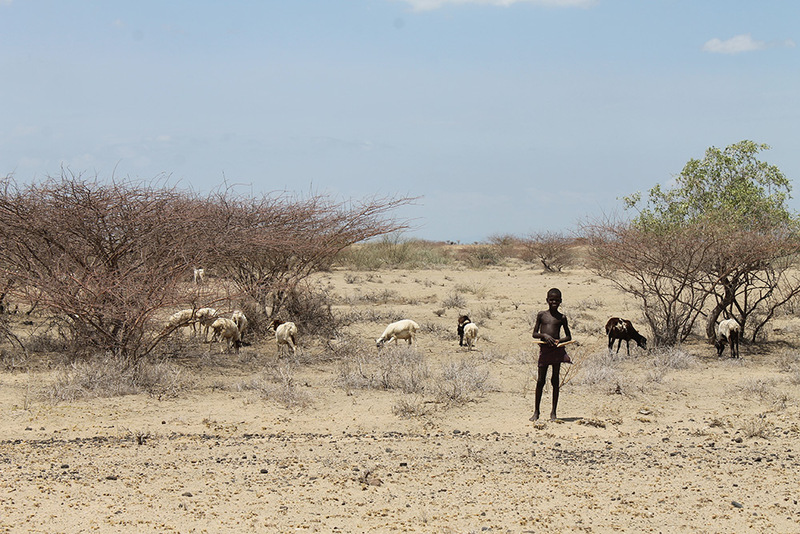 Overgrazing and long periods of absent rain strain the ecosystem and caused periodical hunger seasons in the past decade. 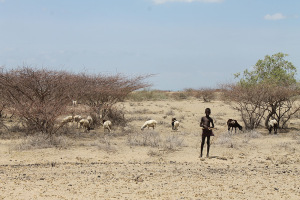 Tribal conflicts with the neighbouring tribes (Turkana, Hama-Koke and Gabra) have also increased in the past years. In order to help the Daasanach to be more independant of regular international relief food suppies it is becoming increasingly clear that the Daasanach have to start fish and livestock trade. Always on search for water and feed the Daasanach families shift between foras (stock camps) and manyattas (more permanent settlements). Traditionally the Daasanach live of milk, sorghum and occasional meat or fish. Because the water of Lake Turkana is alkaline, the Daasnach women regularly sink wells to draw clean drinking water. 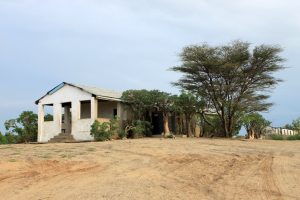 Projects by the Benedictine Fathers, the African Inland Church, Malteser International and the Turkana Basin Institute now support clean water supply and rain water harvesting. HIV/AIDS is turning into a problem due to the traditional polygamous family structure of the Daasanach and the mischief that many government officials originate from South-Western Kenya, yet do not move to Northern Kenya together with their families. As a result, alcoholism and immorality damage the reputation of local police stations, for instance. 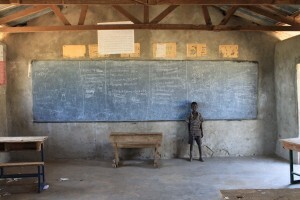 The Kenyan school program derives from the British colonial school system. Government primary and secondary schools are only built in large, permanent settlements with constant food and water supply. This fixed school system and also the traditional learning materials do not suit the needs of pastoralists for various reasons. First of all, attending a stone-built school implies for Daasanach children to be separated from their families and to give up the mobile pastoral lifestyle and culture. Further, government teachers mainly originate from South-Western Kenya and therefore often don’t speak the children’s mothertongue. Finally, contents of school books and learning materials are adjusted to students whose families are agriculturalists or labourers, and therefore are culturally not adequate for Daasanach learners. Children from traditional nomadic pastoralist communities face peculiar difficulties in accessing and continuing with conventional education programmes because the conventional Kenyan school design and education program suit only sedentary communities. 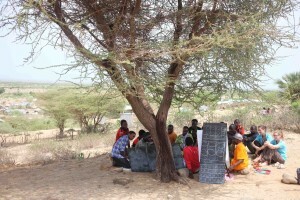 The importance of mobility, remote homeland areas and young people’s labour to pastoral production does not go together with sedentary educational programs and is the reason why educational participation and achievement of Daasanach children is much lower than the national Kenyan average (Literacy rate: 5%). In order to enable contact and communication with the neighbouring tribes, government officials and merchants it is important for the Daasanach to acquire the two main languages of Kenya, Swahili and English. Language skills improve overall communication and peace keeping talks with neighbouring tribes and enable understanding of legislative rights and obligations.